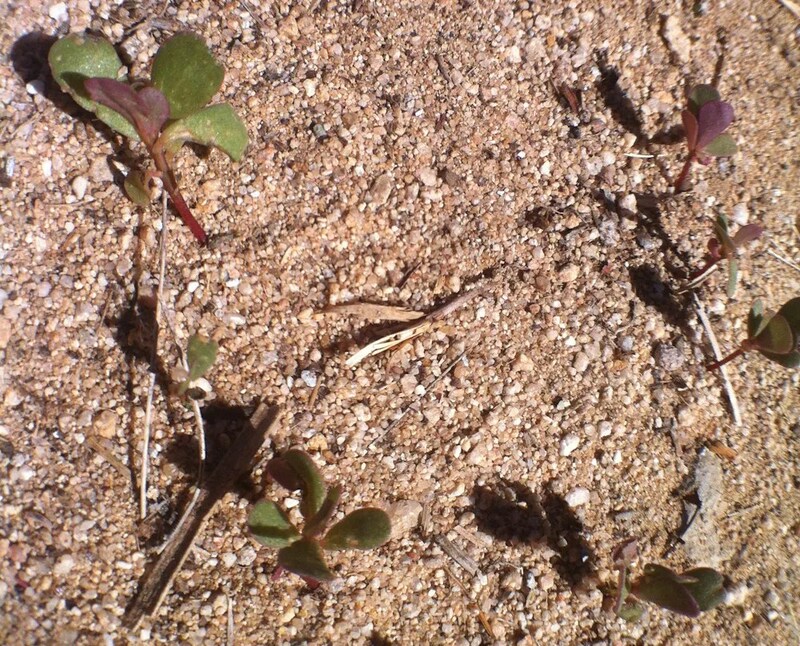 Post Rain-Event Seedlings in North Joshua Tree: Little Help From my Botany Friends? 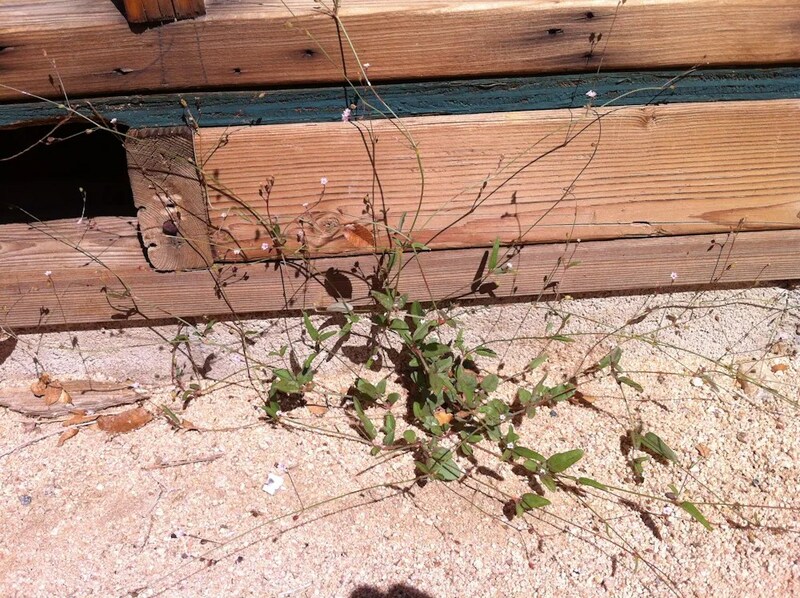 We just had a big rain in Joshua Tree–over an inch in a short period of time. 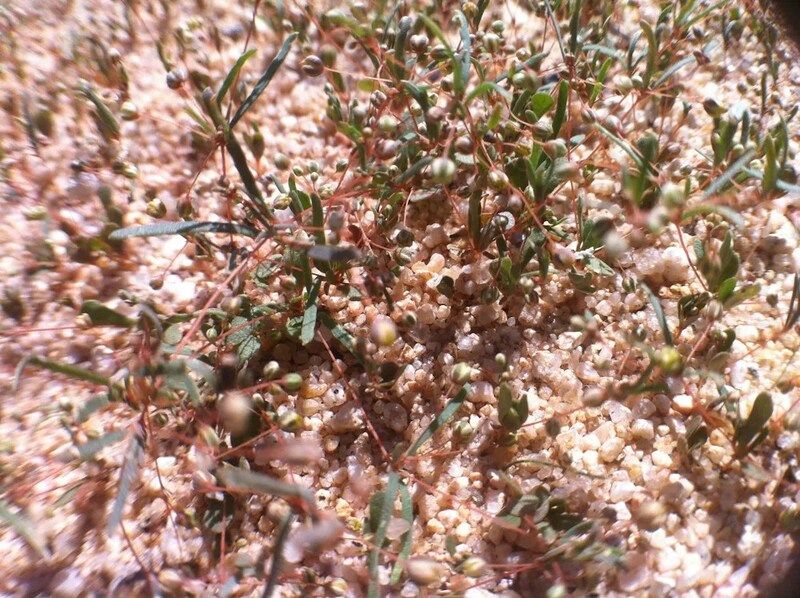 After a rain like that, within hours, tiny plants start sprouting in what had been bare sand for a year. It may be because I haven’t paid close enough attention, or it may be because different seeds sprout after different kinds of rain events, but these plants are unfamiliar to me. I don’t know what they are called or even if I’ve seen them before. This is about 4″ tall, the biggest I’ve seen so far. This grows really fast. It’s about a foot wide. This is maybe 1.5 inches across and appeared late–maybe a week after the rain. This makes a low ground cover over maybe 10 square feet. It’s maybe 3/4 of an inch tall. This came up late, too. The big ones are about an inch tall so far. I just noticed this one today. The ring is about 4″ across. I don’t think this one is a mystery. 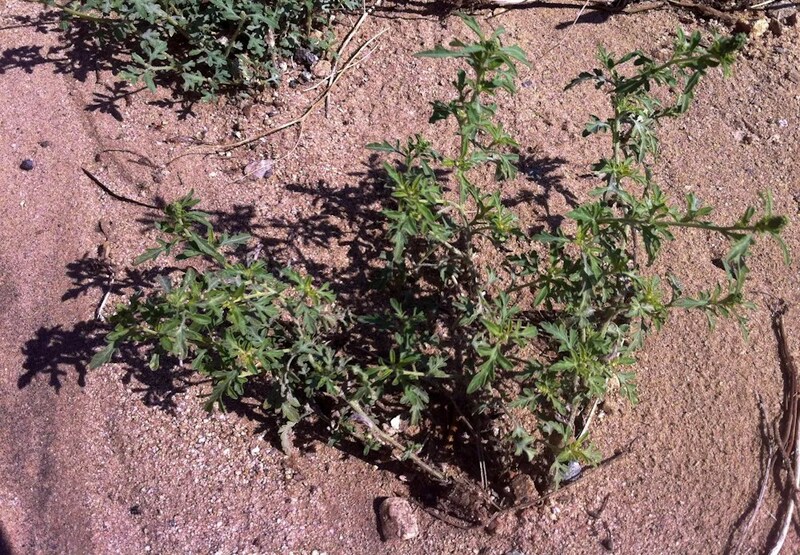 We call it ragweed and it shoots up anywhere the ground has been disturbed, like roadsides and scraped lots. This plant was about a foot tall but I’ve seen many of them waist-high. In Glendale, we get the third one down growing spontaneously in the parts of the yard we water. 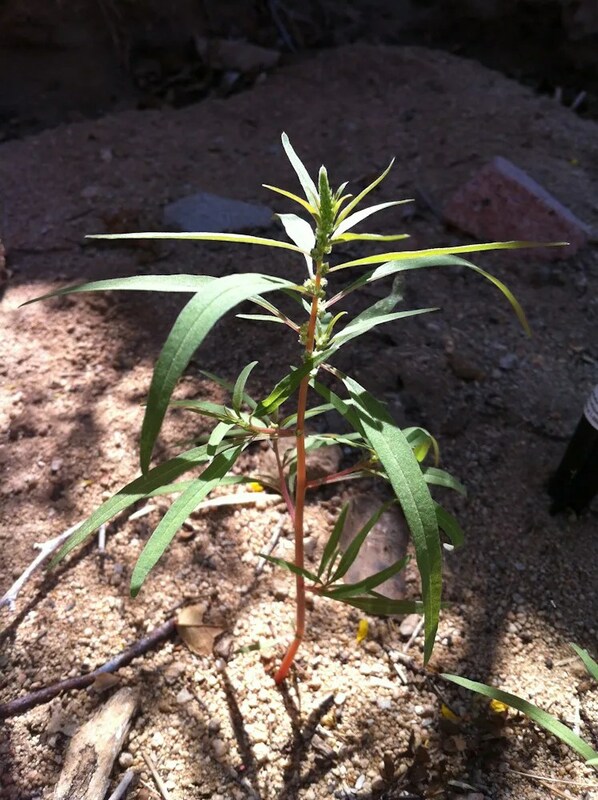 It is very hardy and pretty attractive for a weed. Top picture reminds me of amaranth but not sure. 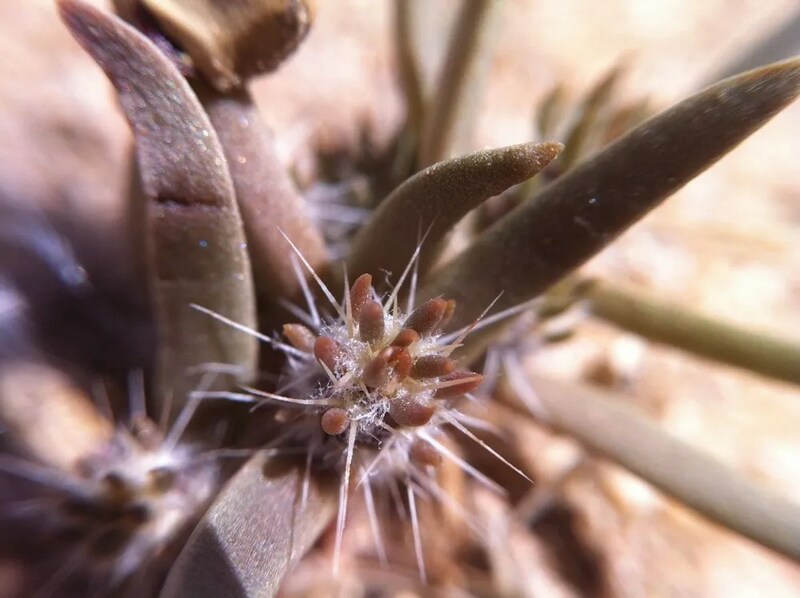 The second picture looks like it could be in the genus allophyllum. The ring looks like there are 2 different kinds of sprouts. 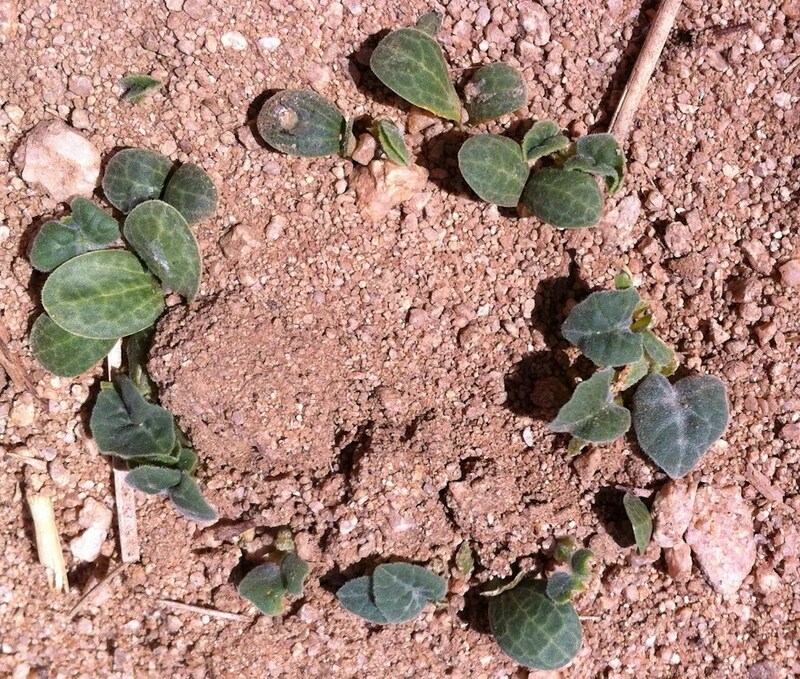 The top sprouts 9 to 1 o’clock look like some sort of squash/melon cotyledons The other in the circle could be rattlesnake weed aka whitemargin sandmat. 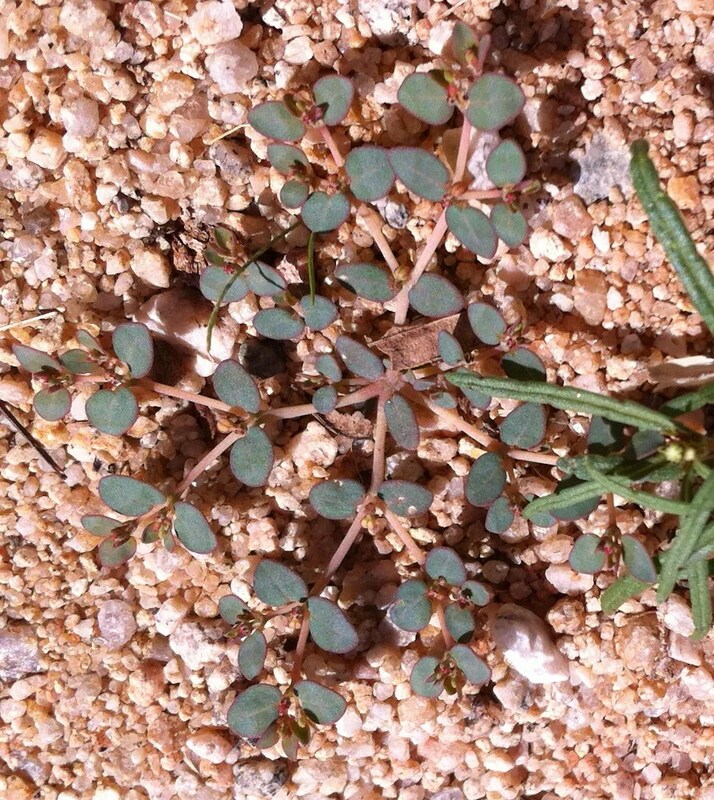 (Euphorbia albomarginata) may also be 3rd picture from top or Abutilon palmeri. Picture number 3, is very good for you, my Mom use to cook them.